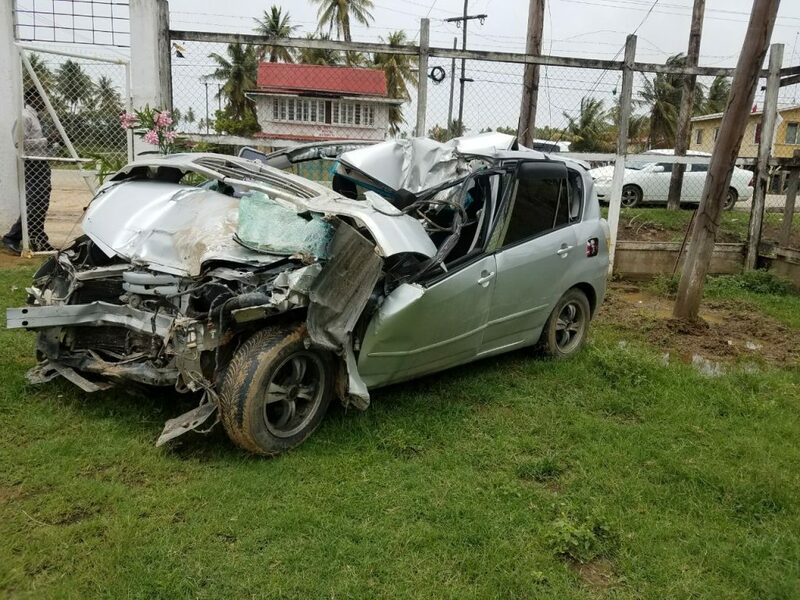 Tragedy struck a Corentyne family early morning when a woman was killed and her daughter and mother injured while they were returning from dropping off a relative at the Cheddi Jagan International Airport. The accident occurred on the Number 58 Village Public Road when the car they were travelling in slammed into a parked lorry. The car driver admitted to police that he slept away at the wheel. Dead is 52-year old Soorojine “Pammy” Surjraj of Lot 1506 Crabwood Creek, Corentyne. 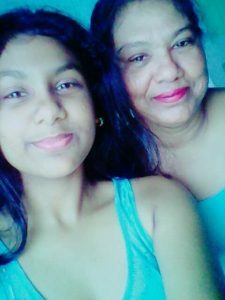 Injured are her daughter 15-year old Neha Sukra, Pammy’s 70-year old mother Khemnie Surjraj and the driver, 25-year old Avinash Premnauth. The three victims were seated in the back of Toyota Spacio, bearing plates HC 2217. 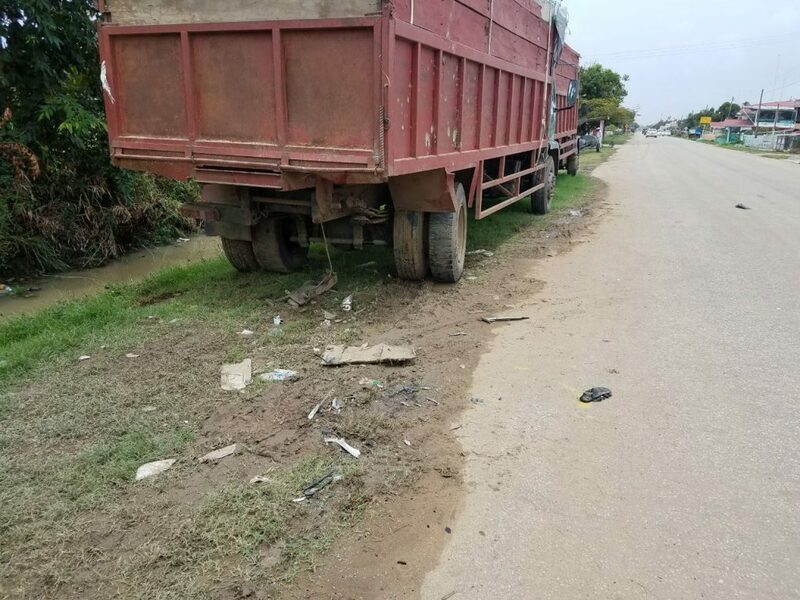 The car slammed into the rear of a parked lorry bearing plate GMM 9207 owned by Narine Dindial of Number 48 Village, Corentyne. The impact of the car sent the truck about meters forward, causing it to hit another parked truck moving it a further meter and a half. The truck into which the car slammed. Witnesses present in a bus shed a short distance away from the accident recalled hearing “a big blam” and upon investigation saw the damaged car and they did not hesitate to render assistance. The driver of the car explained to the police that he felt asleep while driving.